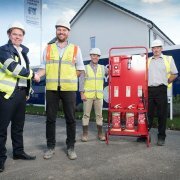 We’ve launched a new fire alarm system which will be used across all of our developments, continuing to put site safety first. The Site Evac is a high-end wireless construction fire alarm which, when set off, will trigger all alarms across the site simultaneously through its intelligent mobile wireless system. Richard Henderson, our Head of Health & Safety, has worked closely with Peter Warner from First 4 Fire, our external fire specialists, and Noel Morren from Bull Products, who manufacture the Site Evac system, to ensure we have a top-of-the-range product across our sites which will withstand our site teams’ working conditions. Peter said: “The Site Evac system is dust-proof, waterproof, and sturdy, making it an ideal product to be featured on a construction site. We worked closely with Cavanna Homes to help them find the best product which was both practical and durable”. Richard added: “Safety on our sites is an area that we take very seriously and the implementation of this new system will extend our efforts in making each site a safe place to work for all of our site team and visitors”. Noel said: “With this investment, Cavanna Homes is showing their serious commitment to the safety of their teams on site. Fire safety is an important part of construction, and Richard is actively progressing Cavanna’s policy with the implementation of the Site Evac system”. 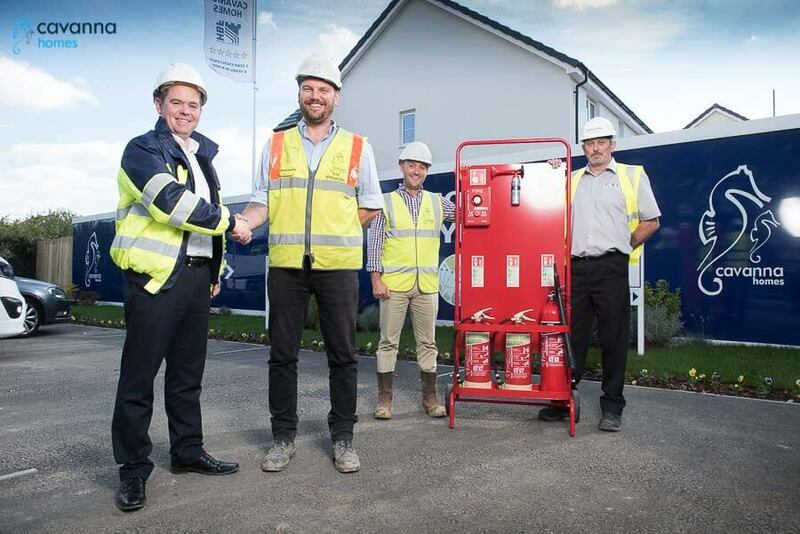 The new fire alarms have been successfully trialled and tested at our development of new homes at Berryfields in Barnstaple, and are now being rolled out at all of our sites across the South West.